Welcome to Topeka Foundation Repair & Basement Waterproofing Pros. 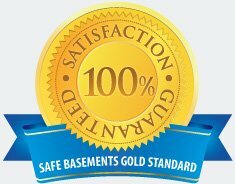 We are a certified SafeBasements™ dealer, and we can provide you with effective, efficient, and affordable basement waterproofing, foundation repair, & crawl space repair services. We have a team of trained, professional, and knowledgeable techs on staff, and they will be able to address any questions or concerns that you have about our repairs, installations, replacements, or products. Guaranteeing 100% customer satisfaction is one of our main goals, and we will do what's right and provide you with honest, dependable services because this is what you and your family want and deserve in your home. We are one of the area's top providers of basement, crawl space, and foundation services, and we are looking forward to working together with you soon. Water in the basement is never a good sign. 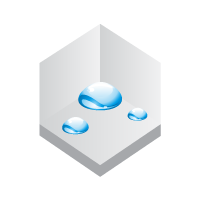 We can determine the cause of the leaks under your home and get the problem taken care of quickly. It is important to act fast whenever you notice moisture here since it can lead to wood rot, decay, and deterioration, as well as to dangerous mold growth which could make your family really sick. We can take care of basement flooding, wall leaks, leaky windows, cove joint seepage, and more. We have a variety of interior and exterior waterproofing solutions, including sump pumps and dehumidifiers. We also fix foundations - whether they are block, concrete, or stone. Our team of structural specialists will thoroughly inspect the base of your home to determine what is causing the problem, and then they will come up with a plan of action for getting it taken care of fast. We can fix sinking foundations, wall or floor cracks, bowed walls, and more. We make use of wall anchors, wall braces, and two types of piers - both helical and push. 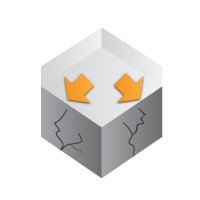 We won't leave your home until we can guarantee that the foundation is safe, strong, and stable. If you have a wet crawl space under your home that floods often, we can take care of it by performing encapsulation work. This seals the space off from the outside environment so that moisture in this area is never a concern of yours again. Water here can cause a variety of problems, including sagging floors and dangerous mold growth. 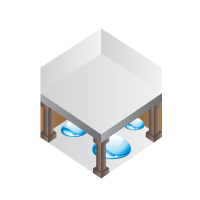 We can also install sump pumps and dehumidifiers for extra protection. Give us a call today to learn more about what we can do for you, or if you would like to schedule a consultation with our team.